Panelist, "Known Knowns and Known Unknowns: Sifting Through Regulatory Changes in the Gas Pipeline Industry"
The firm's Pipeline Safety practice coordinator, Susan Olenchuk, will be a featured panelist at the 2016 Energy Bar Association's Annual Conference. The panel, entitled, Known Knowns and Known Unknowns: Sifting Through Regulatory Changes in the Gas Pipeline Industry, will focus on the U.S. Pipeline and Hazardous Materials Safety Administrations (PHMSA) recent Notice of Proposed Rulemaking on the Safety of Gas Transmission and Gathering Pipelines, which the gas pipeline industry has been anticipating since 2011. 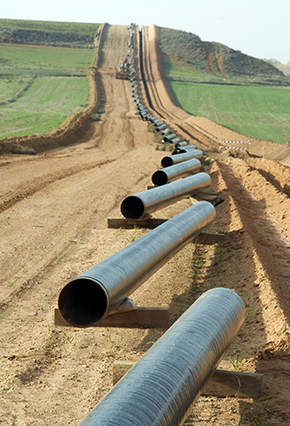 The extensive rules may place significant financial and operational burdens on the pipeline industry and its customers. The panel will also consider the potential for PHMSA regulations affecting gas storage field operations, intersecting FERC regulatory impacts and anticipated changes to pipeline industry economic and environmental compliance, particularly regarding methane leakage. For more information and to register, please visit EBA's website.